BimBamJob: and bim one seeks, and bam one finds. BimBamJob is a social start-up launched by two former HEC that facilitates access to employment for people who encounter difficulties with the use of the Internet and with written French. The digital and linguistic divide must not be a barrier to employment! This is why BimBamJob bypasses it: internally, everything is done thanks to our online software (automatic CV generation, prequalification of profiles, matching and management of applications for job offers, automated sending of SMS …), but for the candidates, everything is offline! * >>> Our ambition: to offer our recruitment solution throughout France and all sectors in tension, to plunge the unemployment curve! We are looking for a profile to help us develop a new project. Your main mission will be to develop a new functional brick within our micro-service architecture. You will need to demonstrate initiative and ingenuity to propose and implement the solution that best meets the needs expressed. You will have the opportunity to work with our internal APIs. Autonomous and flexible, you want to progress and you know how to adapt to the different technologies related to the context of a dynamic start-up. Beyond your technical knowledge, your curiosity and your interest in the web trades and its news will make the difference. 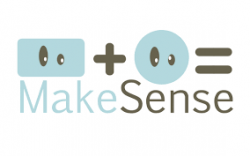 MakeSense is a community based platform for social entrepreneurs all around the world to connect with each other and help one another through challenges to boost their impact and make a robust social impact sector.